The Ontario government is inviting individuals and organizations from all over the province to provide their input and ideas for the 2015 Ontario Budget. 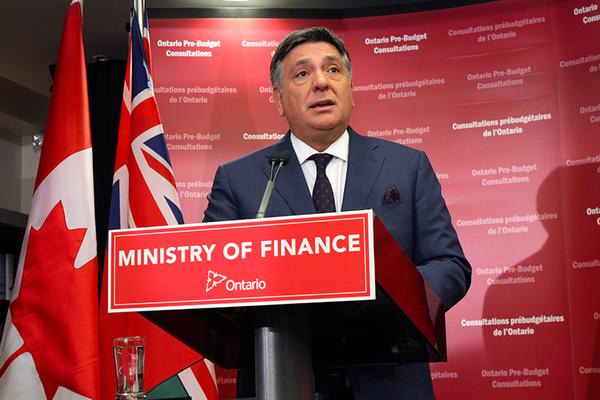 On Tuesday, February 3, Charles Sousa, Minister of Finance, was in Toronto as part of a province-wide tour of pre-budget consultations, which include in-person sessions and telephone town halls. Pre-budget consultations began on January 19, 2015 and will run until mid-February 2015. More than 300,000 Ontarians participated in pre-budget consultations in 2014, including in-person sessions in 13 regions, telephone town halls, online and through social media.